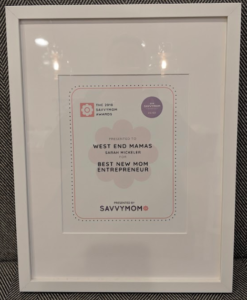 It’s been an exciting few months over here at West End Mamas! 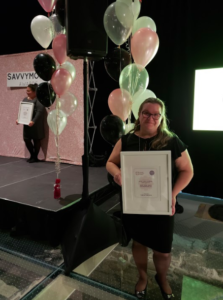 We are thrilled to share that our founder, Dr. Sarah Mickeler, was voted a Silver Winner in the 2018 Best New Mom Entrepreneur Category by SavvyMom Awards – Canada’s Most Trusted Resource for Parents. 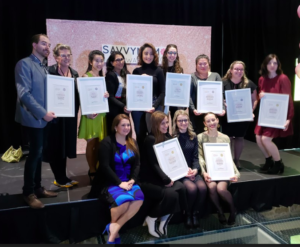 On October 25, 2018, our Savvy Mom received her award at the First Annual SavvyMom Awards Gala in Toronto, alongside other outstanding Mama Entrepreneurs who rock at providing the best products and services for kids and families. Thank you to everyone who voted for our Dr. Sarah — and a big congrats to all of the other incredible, hard-working Savvy Mamas out there! Check out some of the pictures from the evening, book online or send us a note!